Android is an open source operating system for embedded devices started by Google. In Singapore, we have HTC Dream, HTC Magic and HTC Hero phones running the Android operating system. And Google just launched their own phone running Androrid, called Nexus One. We are bunch of Android nerds, we love Android too! And needless to say, we have this Live4D App for your Android devices as well! Check out instructions on the right and grab Live4D for your Android phones now! And yes, it is also 100% free! 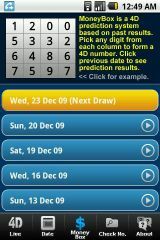 There are more functions, like 4D history, number checker, 4D prediction in our mobile Live4D app. Open up your phone browser, surf to http://live4d.sg and click the download link, we will bring you direct to Android Market to download our app. Open up Android Market in your phone, search for "Live4D". You will see us in the search result, click and install. 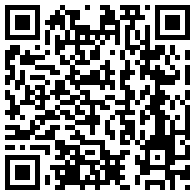 If you have installed barcode scanner in your phone, you can scan this code below. The code will open up a URL which will bring you to Android Market to download our app.